​I am a new employee, how do I access CruzPay? Information about CruzPay is sent to users via UCSC Google Email (@ucsc.edu email addresses) as they become eligible to use CruzPay to enter their hours. Users access CruzPay with their CruzID Gold credentials to access their CruzPay accounts. If you do not know your CruzID Gold password, the ITS Help Desk can assist you at help@ucsc.edu or 459-4357. It usually only takes a few days for a user’s account to be ready once their job has been entered in the UCSC payroll system. If you have any questions about how to record your hours in the meantime, your Timekeeper will be able to assist you. What will my CruzPay User ID be? Your CruzPay User ID is your CruzID. It is the first part of your UCSC Google Email address before the “@ucsc.edu”. You can find more information about CruzIDs at http://its.ucsc.edu/accounts/cruzid.html. If you do not know your CruzID, the ITS Help Desk at help@ucsc.edu or 459-4357 will be able to assist you. What will my CruzPay password be? Users access CruzPay with their CruzID Gold credentials to access their CruzPay accounts. If you do not know your CruzID Gold password, the ITS Help Desk can assist you at help@ucsc.edu or 459-4357. More helpful CruzID Gold information is available here. I don't have an @ucsc.edu address or CruzID. How do I access CruzPay? All UCSC employees are assigned a CruzID within their first month of hire. Even if you receive email through a departmental mail server (e.g. sammy.slug@garden.ucsc.edu) you are still assigned a CruzID. If you do not know your CruzID, the ITS Help Desk at help@ucsc.edu or 459-4357, will be able to assist you. I am told I should be using CruzPay, but I haven’t received my account information at my UCSC Google Email account. How do I access CruzPay? The UCSC payroll system (PPS) has been updated with your current information (for confirmation contact your Timekeeper). You have been issued a CruzID and have claimed your CruzID Gold credentials. If you do not know your CruzID, you may search for it using the Campus Directory or by contacting the ITS Help Desk at help@ucsc.edu or 459-4357. If you do not know your CruzID Gold password, the ITS Help Desk can assist you at help@ucsc.edu or 459-4357. If you would like to check on the status of your CruzPay account, please contact cruzpay_help@ucsc.edu. CruzPay-related emails go to my Spam/Junk/Bulk Mail folder, how can I prevent this? Email clients and user settings vary from workstation to workstation, and sometimes CruzPay emails (and other campus communications) get marked as "Spam," "Bulk Mail" or "Junk." If you are concerned about missing emails from our office (including automated reminders), there are a few measures you can take. Routinely review your spam folder and mark emails as "not spam/junk/etc" if they are incorrectly directed there. Add the email addresses etas_office@ucsc.edu, cruzpay_system@ucsc.edu and cruzpay_help@ucsc.edu to your address book. Visit the UCSC ITS webpage for tips and best practices for using UCSC Google Email: https://its.ucsc.edu/google/gmail.html. Please refer to the System Requirements page for more information on supported operating systems and web browsers. What is my password and how can I change it? If you do not know your CruzID Gold password, the ITS Help Desk can assist you at help@ucsc.edu or 459-4357. Do I need to allow pop-up windows? You will want to turn off your web browser’s pop-up window blocker for the CruzPay website if you will have a need to print your CruzPay timesheet. Please refer to the User Resources if you do not know how to enable pop-up windows in your web browser. ​What is a timekeeper and how do I find out who mine is? Your timekeeper is the person responsible for approving and processing your timesheets. You can locate your timekeeper by visiting: Find Your Timekeeper. If my supervisor changes, how will CruzPay get updated? Your timekeeper can update CruzPay with the correct supervisor information and should be made aware of changes within your unit. If you, or your supervisor, are not able to view your employee’s timesheets you should contact your timekeeper right away so they can make the necessary changes. Find Your Timekeeper. Some of my employees do not appear in my approval screen and/or some of the listed employees do not report to me, how can I fix this? Your timekeeper will be able to update CruzPay with the correct information and should be made aware of changes within your unit. Find Your Timekeeper. ​How do I record my hours? Non-Exempt staff and student employees need to record actual hours worked and/or leave taken to the nearest ¼ hour (15 minutes) for each day worked. Exempt employees only record leave taken in whole-day increments based on their scheduled hours for the day. Why does CruzPay need my schedule? Schedule information is a system requirement for all staff employees and allows CruzPay the ability to provide informational messages to employees and timekeepers that assist in their time reporting. For example, if your schedule is 10hrs/day, Mon-Thurs, and you inadvertently enter sick time for Friday, the system will display a message asking you to correct your entry. If your schedule has changed you should contact your timekeeper to have it updated. I am a student employee, why don’t I have a schedule listed? CruzPay schedules are not currently required for student employees and are not used to verify hours in the system. Your timekeeper can assist you if you have questions regarding scheduled hours. I am a staff employee and I work a variable schedule. Will CruzPay require me to change to a more standard schedule? No. The schedule set for you in CruzPay should be as close as possible to your regular schedule. If you enter time worked or leave taken for a day/time which doesn't match your CruzPay schedule, the system will present you with an informational message and in no way stops you from entering time on that day. If the entry is correct, no action is necessary. CruzPay will not impose any changes in the way you and your supervisor manage your schedule. You and your supervisor should work with your timekeeper to ensure your schedule is entered in CruzPay as close to your regular schedule as possible. ​Can I access my vacation and sick leave accrual information in CruzPay? Yes, one of the benefits of CruzPay is that you can see up to date leave accrual information, provided you have been entering time worked and/or leave taken on a regular basis and are eligible to accrue leave. Leave accrual information can be accessed through the Time off Balances screen on your timesheet. Should you have a question about your accruals, please contact your timekeeper in your HR Service Team. Will holidays be calculated by CruzPay? Yes.  We have included UCSC’s 1000+ pay rules behind the scenes to ensure your holiday hours are calculated correctly. The system will look at your hours on pay status as well as whether or not you are exclusively represented and apply any contract specifications. What happens during campus closure? Can I borrow against my vacation bank? As is the current practice, you do have the ability to borrow vacation during the December closure period. We have designed a special pay code (Vacation Curtail) to use which will allow your vacation balance to go negative. As always, once you go negative for Campus Closure, you are unable to use further vacation time until you have accrued a positive balance. ​After I save my timesheet is it submitted/locked? No, saving your timesheet simply saves the information you have entered. You will need to save your timesheet each time you make changes. To submit your timesheet you will need to select the submit timesheet icon next to the save icon. When does my timesheet lock? At the end of the pay period, typically your last working day, you will need to submit your timesheet. Once your supervisor or timekeeper reviews your time s/he will lock it in the system via their approval. At that point, should you wish to make further changes, you will need to work with your timekeeper. Can my timekeeper make additional adjustments after I submit my timesheet? Yes, one of the benefits of CruzPay is that you and your timekeeper can view/discuss your timesheet simultaneously. Keep in mind if changes are made to your timesheet after initial approvals, it may need to be rerouted again. Your timekeeper can help you decide the best method for updating your time. Why should I have to wait until the last day of the pay period to submit my timesheet? Policy states that you should not project your hours. By waiting for your last working day of the pay period your timesheet will accurately reflect your time for the pay period and minimize the mistakes that can happen by submitting your timesheet too early. What do I do if circumstances prevent me from submitting my timesheet? If you are planning to be away your last working day of the pay period (scheduled vacation), please submit your timesheet on your last day in the office. If you are out ill, you should submit your timesheet as soon as you return to the office. If you will be out past the timesheet due date, please contact your timekeeper to assist you. I am a student employee and one of my jobs does not show in CruzPay. How do I enter my hours for this job? One of the features of CruzPay is its ability to manage multiple jobs, or assignments, for a student employee. If an assignment is not listed in your queue, contact your timekeeper for temporary, alternate methods of reporting your hours. ​Do I need to print my timesheet? CruzPay’s Electronic Workflow Functionality (EWF) eliminates the need to print a timesheet. After entering your hours worked and/or leave usage and saving the data, select the "Submit Timesheet" button to electronically submit your hours for approval. For more information, please visit the Employee Toolbox. How does a supervisor know when an employee has electronically submitted their timesheet? A supervisor’s approval list shows if an employee has submitted their timesheet. Supervisors of employees who submit their time electronically will review their on-line timesheets for accuracy and approve or reject the timesheet accordingly. Automatic emails will be sent to supervisors via the system, with reminders to review and approve employee timesheets. My timesheet was rejected by my supervisor, what do I do now? Supervisors are encouraged to reject any timesheets with errors or changes that need to be made, making sure to contact employees regarding in the process. Once your timesheet has been rejected you will have the opportunity to log in, make corrections, save, and then electronically submit again by clicking the "Submit Timesheet" button. This process allows the system to recapture all the necessary approvals after corrections have been made. For detailed instructions, please visit the Employee Toolbox. Can I print a timesheet for my records even though I submitted it electronically? Yes, you have the ability to print a timesheet for your own records by using the function on the timesheet. You will not need to get this paper timesheet signed or forwarded to your timekeeper. For detailed instructions on printing your timesheet, please visit the Employee Toolbox. Why did I receive an email reminder to submit my timesheet? System-generated messages are sent to all employees with unsubmitted timesheets in CruzPay. If you have been advised to submit a paper timesheet by your timekeeper, then please do so. The system may send you a second “gentle reminder” because your timesheet will continue to show as unsubmitted. I thought I submitted my timesheet, but I received an email stating my timesheet was unsubmitted. How do I make sure I have submitted? For assistance with submitting your timesheet please check out End of Period Process in the Employee Toolbox.